The Vancouver Board of Parks and Recreation is developing Vancouver's Playbook, a new master plan to guide the delivery of vibrant parks and recreation over the next 25 years. Read a full overview of Vancouver's Playbook (PDF, 946 KB). The role equitable access to parks and recreation play in making Vancouver more resilient to broad issues of social justice, social isolation, and disasters. Read our Resilience and Wellbeing issue paper (PDF, 467 KB). The importance of place-making and building a network of parks, open space, and cultural destinations in connection with active modes of transportation like walking and cycling. 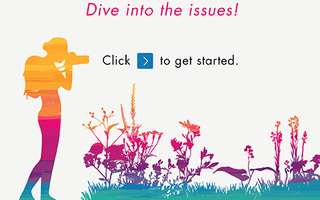 Read our Places and Access issue paper (PDF, 1 MB). How recreation like art, music, sport, fitness, hiking, cycling, and play are vital activities that enliven Vancouver's community. Read our Recreation and Community issue paper (PDF, 401 KB). The role parks and recreation play in sport hosting, public art, tourism, events, education, and celebration of Vancouver's diverse communities. Read our Celebration and Tourism issue paper (PDF, 14 MB). The connection Vancouver’s parks, urban forests, and beaches play in providing access to nature and the opportunities for re-wilding, environmental education, and enhanced stewardship of nature. Read our Ecology and Nature issue paper. (PDF, 3 MB). February 11, 2019 - The proposed Report 3: "Equity Initiative Zones", city-wide interconnected network and asset targets (service levels) were introduced. Staff provided a project update, the vision, and origin of the proposed approaches and outlined proposed next steps. The talks brought together some of the world’s leading thinkers on public space and urban issues to explore the way we connect, play, and explore in cities. 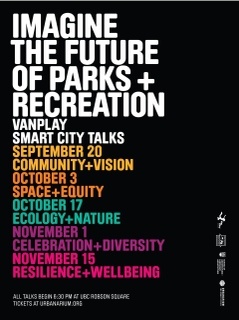 The VanPlay Smart City Talks series brought together some of the world’s leading thinkers on public space and urban issues to engage in a dialogue with Vancouver residents. In Spring 2017, the VanPlay team toured 11 community events to talk to the community about the future of Parks and Recreation.